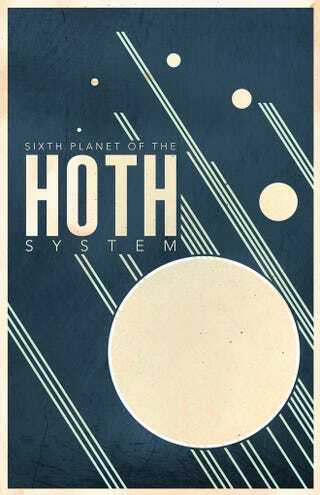 Visit the sixth planet in the Hoth system, which looks so groovy that it has zoomy lines behind it. Or visit Cloud City - or Tatooine. Artist Justin van Genderen makes them all look like spots for hep cats.